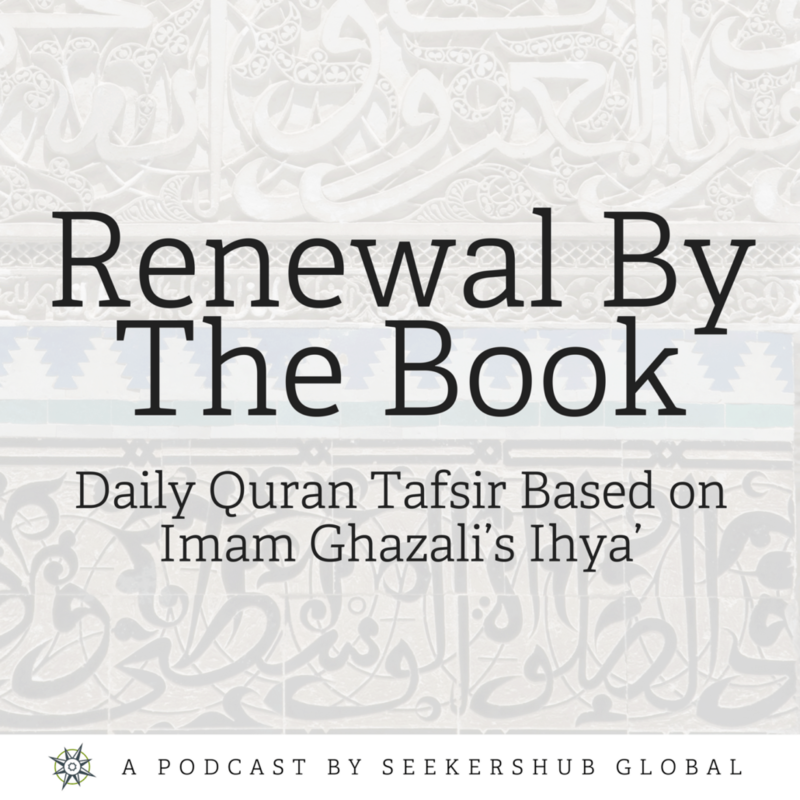 In this lesson, Shaykh Faraz highlights verses 222 of Surat al-Baqara, and how it corresponds to the third chapter of Ghazali’s Ihya on purification. (إِنَّ اللَّهَ يُحِبُّ التَّوَّابِينَ وَيُحِبُّ الْمُتَطَهِّرِينَ) (Truly, Allah loves the oft-repentant and He loves those who purify themselves completely). Shaykh Faraz explains that repentance (tawba) is return (ruju’). He outlines the different levels of return:  from disbelief to belief,  from sin to submission, and  from distance to closeness. Shaykh Faraz then explains that purification is the removal of impurities, both physically and spiritually. He tells us that there is a link between physical and spiritual purity. Some of the wisdoms of ritual purity is to assist the presence of heart, it’s expiatory, it nurtures God-consciousness, mindfulness, restraint and lumination. Shaykh Faraz then highlights the explanation of the verse by Imam al-Qushayri. He says that those being referred to in the verse are on different levels. On one level they are those who repent from sins, and purify themselves from blameworthy traits. On another level, they are those who repent from the blameworthy, and purify themselves from distractions. On yet another level, they are those who repent with the water of seeking forgiveness, and purify themselves with the effulgent water of shame and brokenness. Finally, they are those who repent from slips and purify themselves from heedlessness. Finally, Shaykh Faraz concludes with the story of one of the early imams of Islam, Imam al-Junaid and how he defines repentance. He tells us that repentance is to forget about the sin after repentance out of rejoicing in Allah’s favour and mercy.